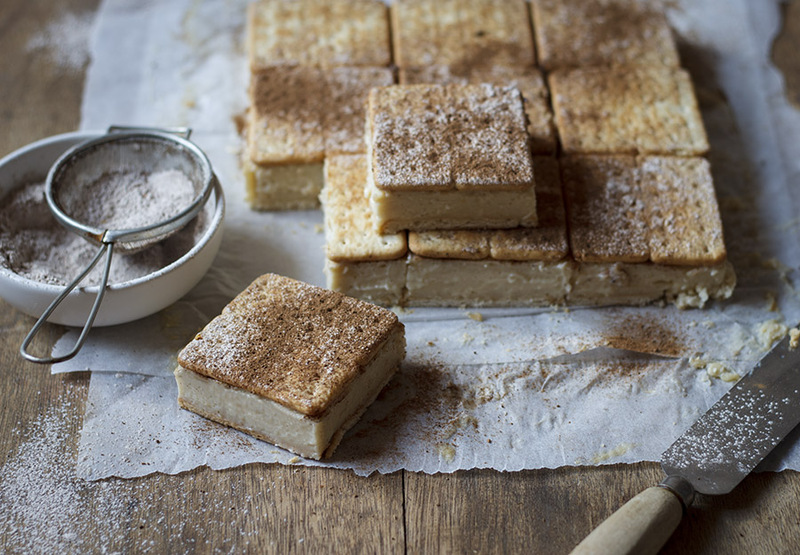 This is the best/only custard slice recipe you will ever need, people! Okay so it’s kinda cheating – it’s made with cream crackers and custard powder but darn does it taste good! 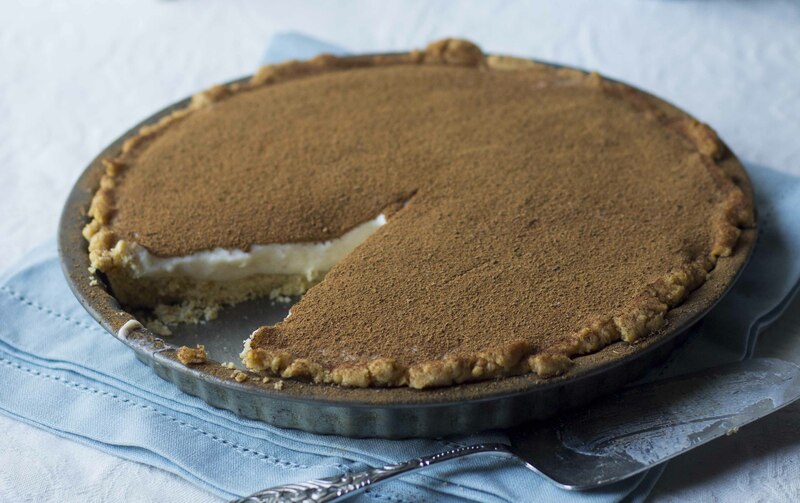 And while I’ve given this version a milk tart twist for National Milk Tart Day (which by the way is on the 27 February) best believe it is equally delicious with the traditional tangy lemon glaze – so I’ve included a recipe for that too. 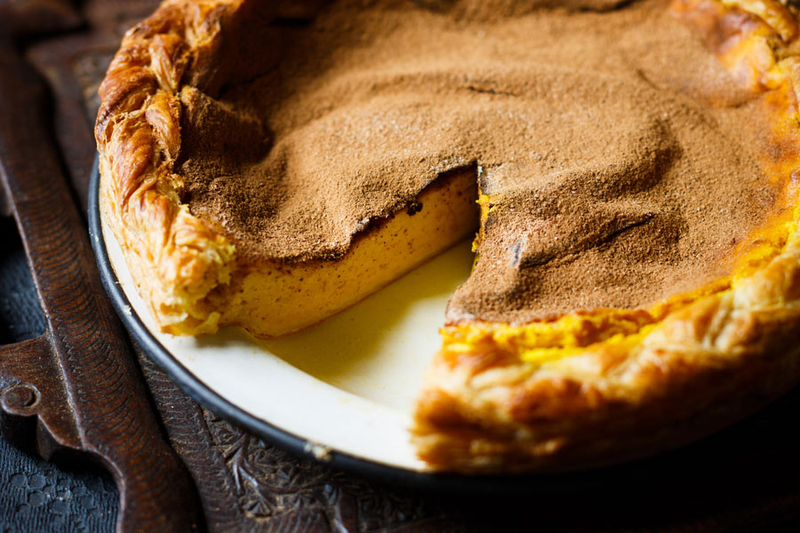 I was given this recipe by my childhood best friend, Tammy – her mom used to send her to the farm I grew up on with a tin filled to the brim with these creamy slices every Friday after school. We’d sit in our treehouse (which we built ourselves – girl power!) and devour them, sharing them only with each other (‘cos no trespasser’s allowed!) 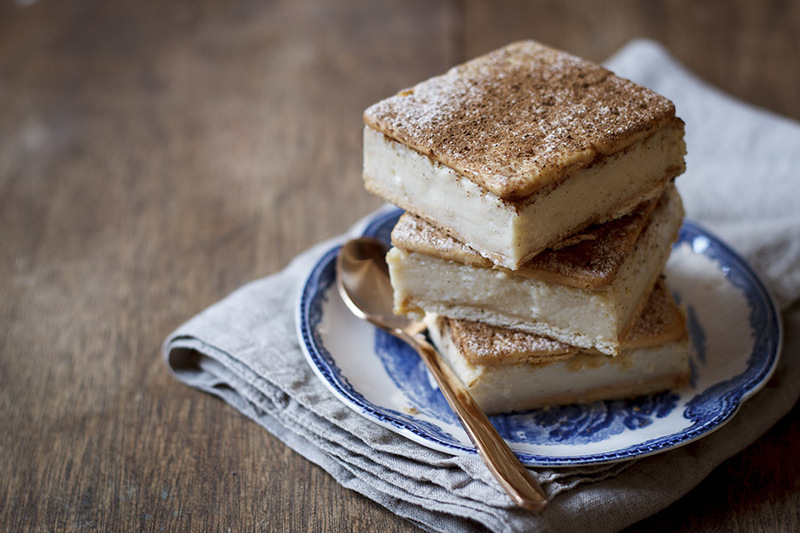 and getting custard all over our hands – the best part about custard slices is the fact that they squish everywhere and it requires much licking of fingers to get every last bit of the creamy filling! 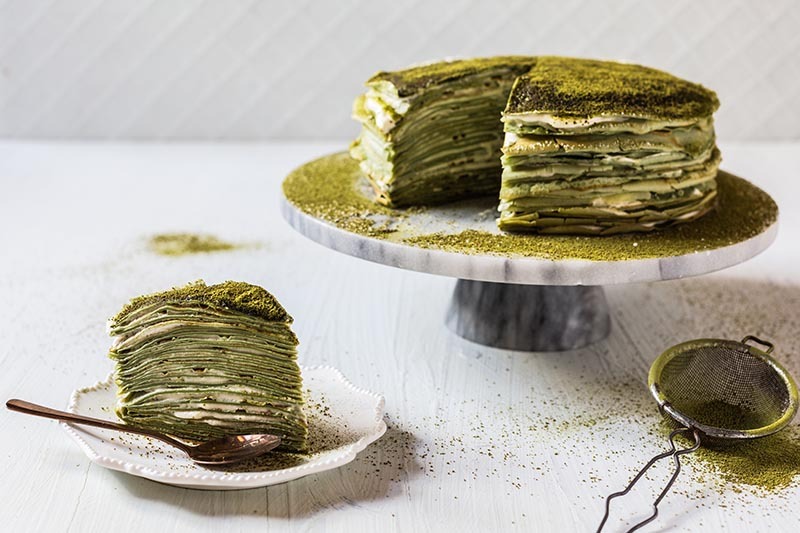 I must add that the recipe wasn’t just given to me – it was carefully handwritten and lovingly placed into a folder along with all my other best friends’ favourite recipes (all scribbled down on various coloured paper with different handwriting) for my 18th birthday. It is still one of my most treasured possessions – and the title of the cookbook? ‘Katelyn’s Favouriteistest Favourite Flop-Proof Recipe Cookbook – Made with love by all her friends’ How awesome is that? 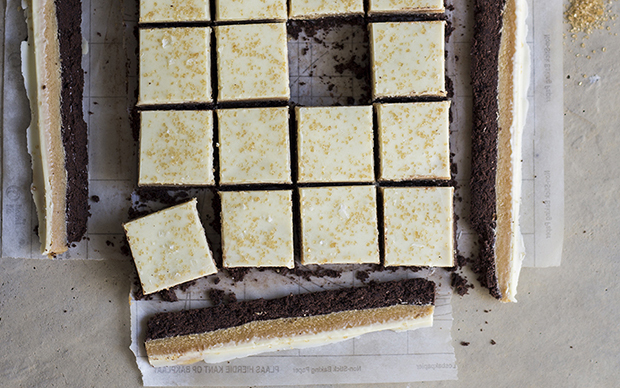 Pretty awesome – almost as awesome as these custard slices! 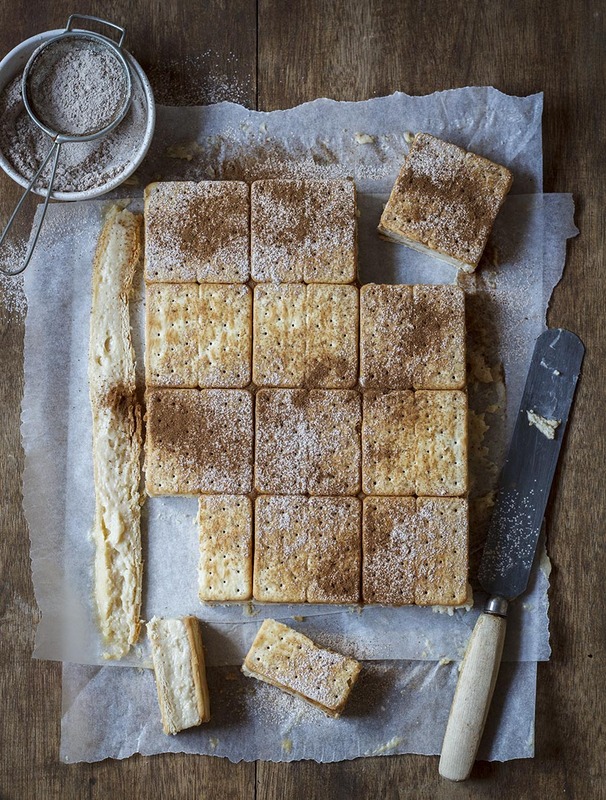 Line a 20 x 30cm cake tin with baking paper and arrange a layer of crackers on the bottom. Make a paste with the flour, cornflour, custard powder, salt, water, vanilla, egg yolks and 1/2 cup of the milk. Heat the remaining milk, vanilla, cinnamon stick, sugar and butter and add to the paste while whisking. Return to the pot and cook until the custard is thick, stirring continuously. Whip the egg whites until stiff then fold into the lukewarm custard. Pour the custard over the crackers and place another layer of crackers on top. Allow to set in the fridge until completely cool. Mix the icing sugar and cinnamon then dust the slices. Cut into slices and serve. 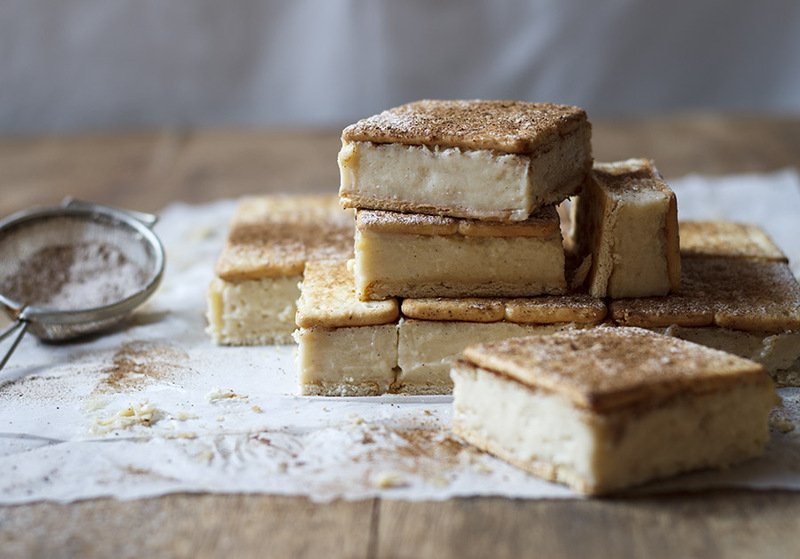 TIP To make the traditional lemon glaze (instead of the cinnamon topping), mix 1 cup demerara icing sugar and the juice of 1 lemon together with a little hot water to form a paste and drizzle over the tops of the custard slices. Just made these from your receipe and they were superb. 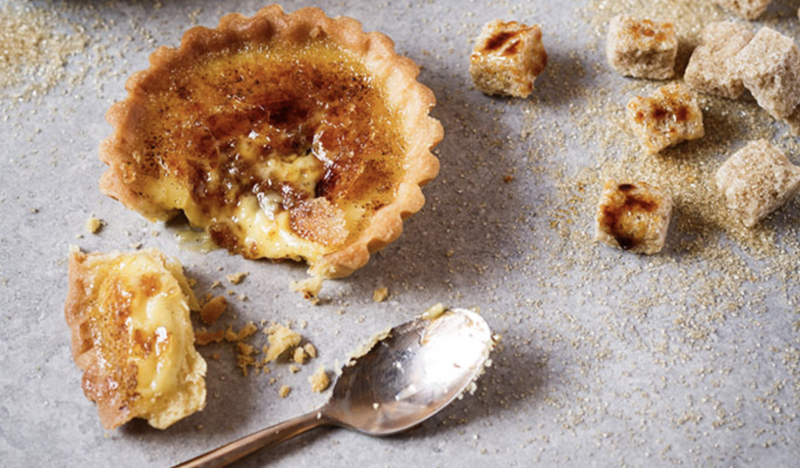 They’re going to replace the traditional milk tart in our house! Hey Kate, could I use the filling recipe as a normal milk tart recipe? This looks amazing! I will give it a try. ? Hi Jane, no you don’t have to wait for it to cool – simply fold in while hot. You’re welcome to leave them out, the slice will just not be as light and airy.